At 777 Main, we think about how to conserve energy from every angle to save money and reduce our collective carbon footprint. The building is LEED Platinum certified by the U.S. Green Building Council, the highest rating possible in the green building industry. With a Walk Score® of 95, 777 Main is a “Walker’s Paradise”. Apartments are powered, heated and cooled with clean energy created on site with a 115 kW solar array and a 400 kW fuel cell. The fuel cell creates energy without combustion - reducing particulate pollution when compared to conventional power generation by 99.8%. Individual high-efficiency water source heat pumps heat and cool each apartment – using 30% less energy than typical PTAC units. 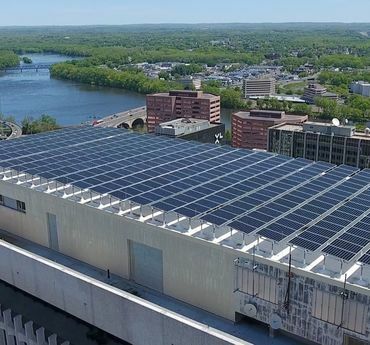 To further control energy use, we’ve installed Low-E windows that reduce cooling loads dramatically in the summer, yet allow passive solar heat in the winter. The windows have the added benefit of protecting you and your home from unwanted UV rays which can fade your art, carpets and furniture. We empower you to keep your energy use and utility bills low. Each apartment is outfitted with a Nest® Thermostat which learns your schedule and programs itself. It can even be controlled from your phone. 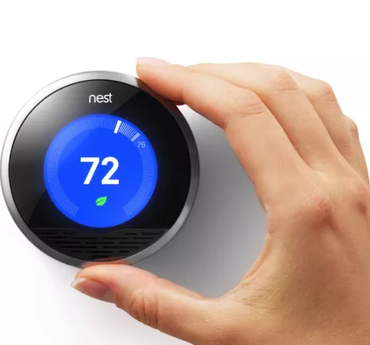 Teach it well and the Nest® Thermostat can lower your heating and cooling bills by as much as 20%. Water use is kept to a minimum with ultra-low flow fixtures in kitchens and bathrooms and dual flush toilets that use half the water of standard toilets. Even the dishwasher and clothes washer are designed to perform exceptionally with low water use. You will receive one bill each month for your individual use of electricity, water and sewer. Every apartment is separately metered so you only pay for what you use. To round out our commitment to environmentally-responsible development, the kitchen counters are made of recycled stone and all appliances are Energy Star® rated. To enhance indoor air quality, 777 Main is smoke-free; all cabinets are formaldehyde-free and all materials are low-VOC; and every apartment is equipped with the highest quality filtration on exhaust and ventilation air. The building is even equipped with elevators that recapture their own energy. Building-wide high efficiency lighting and occupancy sensors also keep energy use down. Recycling rooms on each floor makes recycling easy. Garbage disposals help cut down on waste.